This journalist, both author and narrator of this “delicate, exquisite, unreal” scene, is Curzio Malaparte, born Kurt Eric Suckert in Tuscany to a German father and an Italian mother, later adopting the surname “Malaparte” as a nom de plume: “on the side of bad,” an anti-Napoleon. Malaparte wrote an entire novel, Kaputt, about his experiences as a correspondent for Milan’s Corriere della Sera, covering the Eastern Front of the Second World War. Kaputt was published in 1944, but the passage above was published five years later, in Malaparte’s next novel, The Skin, in which flattened human remains become the flag of Europe—the only symbol able to unify a civilization whose last remaining pretenses to modernity are its ruins. 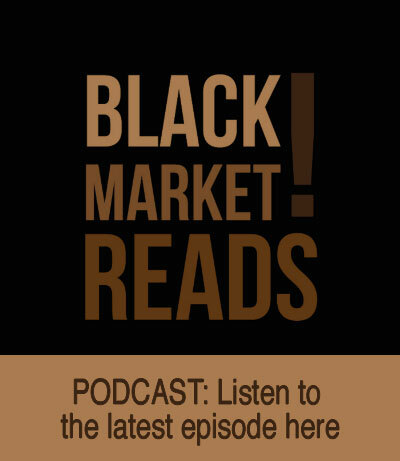 The Skin presents its reader with the same world which Roberto Rossellini offered to film viewers in his neorealist classic, Paisà (1946): Naples, just after the Allied invasion in 1943—a city of poverty and prostitution, black marketeers and American GIs (many of them black, as well). 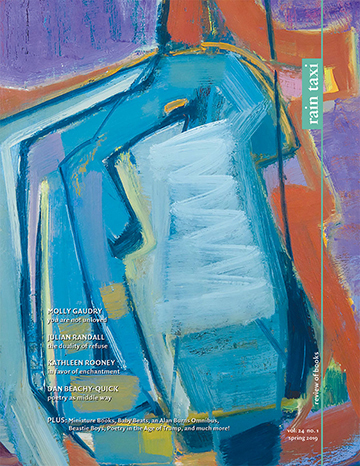 While André Bazin, writing in the pages of Cahiers du Cinéma, praises Paisà and neorealism in general for “its stripping away of all expressionism” and its tendency “to give back to the cinema a sense of the ambiguity of reality,” citing Rossellini and Vittorio de Sica’s attempts “to transfer to the screen the continuum of reality” and Cesare Zavattini’s “dream . . . to make a ninety-minute film of the life of a man to whom nothing ever happens,” the mixture of journalism and fiction Malaparte achieves in The Skin—nearly two decades before Norman Mailer perfects the genre in The Armies of the Night (1968)—insists that if anything can be said to be certain after Hitler, Mussolini, and Auschwitz, it is that reality itself is inescapably mediated. Reporting his adventures as Italian liaison to the American 5th Army, Malaparte alternately challenges his reader to accept and reject the veracity of his account, stretching his real experience to what would appear to be grotesque caricature, were it not for the desolate chaos of its historical context. Like Mailer, Malaparte is interested in exploring the fine line between fact and fiction in order to expose it as nonexistent–a thesis he advocates with irony, winking at the reader: “I would not wish to be discourteous to Malaparte, for he is my guest,” says General Guillaume to the hero, over a “humble camp meal” which the Frenchman fears will be “transformed into a real banquet” in the Italian’s next novel. The false tale of cannibalism Malaparte then employs to convince his companions—and us—of his narrative reliability is but one of many examples of the scope of his irony, the blackness of his humor. David Moore’s new translation of The Skin renders the original text in strikingly fresh, often noirish English prose while retaining the high expectations held by Malaparte for his reader. 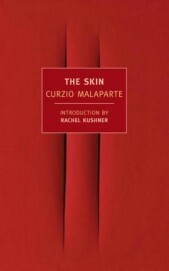 The Skin is a truly multilingual novel: in addition to the narrator’s Italian, German appears, as does much dialogue in French (especially between Malaparte and his best friend, Colonel Jack Hamilton, a fictional stand-in for University of Virginia grad Colonel Henry H. Hamilton, “who died in vain in the cause of European freedom,” Malaparte writes in the book’s dedication), and as Rachel Kushner notes in her introduction to the edition, “In the Italian text words like ‘punching-ball’ and ‘booby trap’ are left untranslated, and Malaparte’s American friends love to say things like ‘Gee!’ and ‘Nuts!’ and ‘Good gosh!’” The co-presence of these languages fragments the text in a way that mirrors the fragmented world Malaparte attempts to represent: chaotic, made broken and baffling by the nascent spread of global capitalism through military means, the entirety of the West conquered by Americans who, in one grimly memorable scene, “go and stick a finger between the legs of a virgin,” supposedly the last virgin of Naples, “a poor conquered girl” forced to sell the only thing that she, her city, Italy, or even the whole of Europe has left: her skin. Read from the perspective of the last half-century, Malaparte’s playful commentary on the United States’ role in global affairs seems incredibly prescient: the sort of catch-22 illustrated in an exchange between Malaparte and a partisan could serve as a description America’s relationship with the Middle East (substituting any one of many proper nouns for the name of Il Duce): “I’m killing them for shouting ‘Long live Mussolini!’” says the partisan, to which Malaparte replies, “They shout ‘Long live Mussolini!’ because you’re killing them.” But more than it is a political novel, The Skin is an existential novel, and like the best work of Albert Camus, Jean-Paul Sartre, and Alberto Moravia, it is driven by a feeling–in this case, sadness–which pervades even in the book’s wittiest moments. The tragedy of life, Malaparte tells us, citing his beloved Naples as an example, is that we can never escape the confines of our own bodies, our own skins. “The human skin is ugly,” he tells us. “It’s loathsome. And to think that the world is full of heroes who are ready to sacrifice their lives for such a thing as this!” Without our skins, we are nothing. The Skin offers its reader only one alternative to nothingness: ugliness. Thankfully it is an ugliness that has great verve in Malaparte’s hands. This entry was posted in Uncategorized and tagged Spring 2014 on April 23, 2014 by Kelly.